Transport WordPress theme is a visually appealing, elegant and clean multipurpose theme for all transport businesses. The theme has its usage in transport business, movers and packers, logistics, freight services, shipping and cargo business. 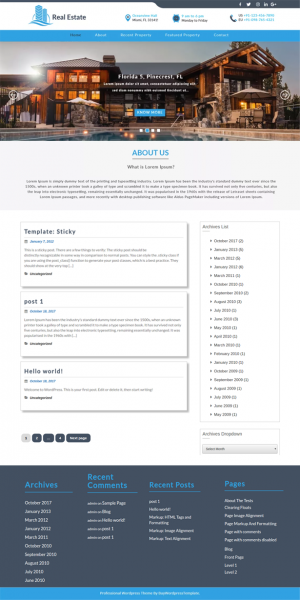 It is the premium version of the free transport WordPress theme. It has a pool of useful features which makes it even more useful and different from other themes of the like. The theme is fully responsive and cross-browser compatible making your site accessible through mobile and tablets loading smoothly on all browsers. The customizability of the theme helps making it personalize. You can change its colour, background, images, header, footer, fonts etc. through theme option panel without involving into coding part. It is designed to cater smooth navigation through different pages and sections. Give a great experience to your visitors and convert a general visit to your site into potential lead for your business. The theme has user-friendly front and back end interface which will ease its use for you as well as your visitors. The logistics WordPress theme has exclusive features and functionality to extend the theme working and make it perform some top-notch functions. The clean and secure code and regular updates will prevent your site from any security breach. Use the gallery to showcase your best services and attract users. The 100+ font options and unlimited colours will give an altogether different hue to your site. Use from a pool of hundreds of Font Awesome icons to make your site more intriguing. Widgetize the sidebars, header and footer to spice up style quotient of your site. Apart from the mega menu, these widgets also help organise site content neatly. Give a different look to your site with the use of banner and life-size sliders. The mover WordPress theme has no limitation on the use of number of slides. Use of shortcodes has been done to include videos, audios, different file formats, columns etc. which eliminates the use of separate code for them. We offer support and regular updates to premium theme buyers to solve the technical issues rose during the theme usage. 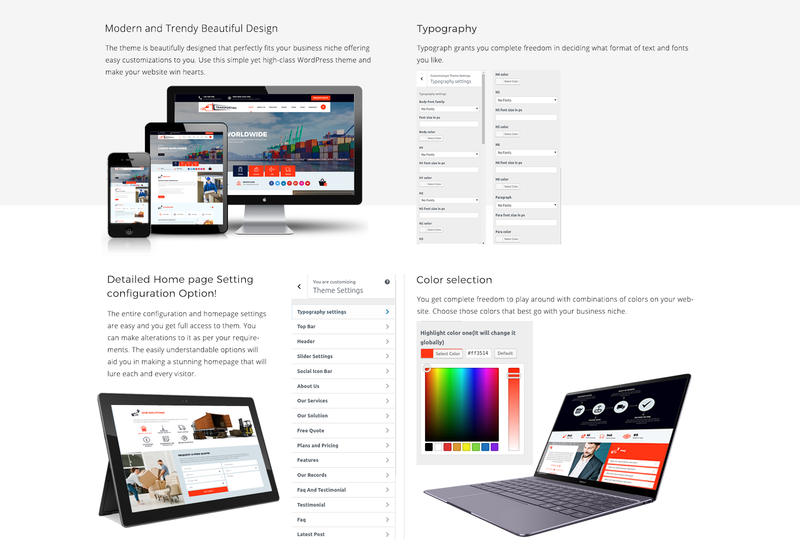 Try using this premium logistics WordPress theme for a great site building experience.